We love what we do here at Gorilla: Low cost advertising! We also love the creativity involved in advertising especially when you are learning from the best in that was in the industry. At Gorilla we work with you, always sharing our advertising knowledge and applying it to the adverts we show on our screens. 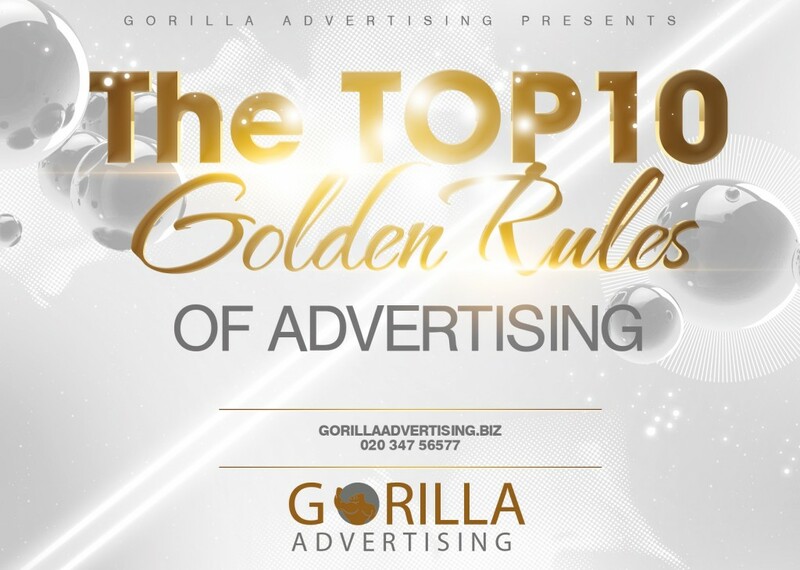 That being said we wanted to share a collation of the 10 Golden Rules of advertising from some of the best people that have ever worked in it. 8 . The man who stops advertising to save money is like the man who stops the clock to save time.